On Pretending to Know About Education in Japan, pt 2: On Getting Into High School (and University) | This Japanese Life. ← On Pretending to Know About Education in Japan, pt 1: The System! Posted on July 11, 2012	by E.
We last left our fictional Japanese son, Tetsuo, in his final year of junior high, preparing for high school entrance exams. You and I – his loving, middle-class parents, and you, my adorable wife, who is almost too infatuated with me – want the best for Tetsuo-kun, so we do what every loving, middle-class parent with practically too-doting wife in Japan does: We send him to cram school, or juku. 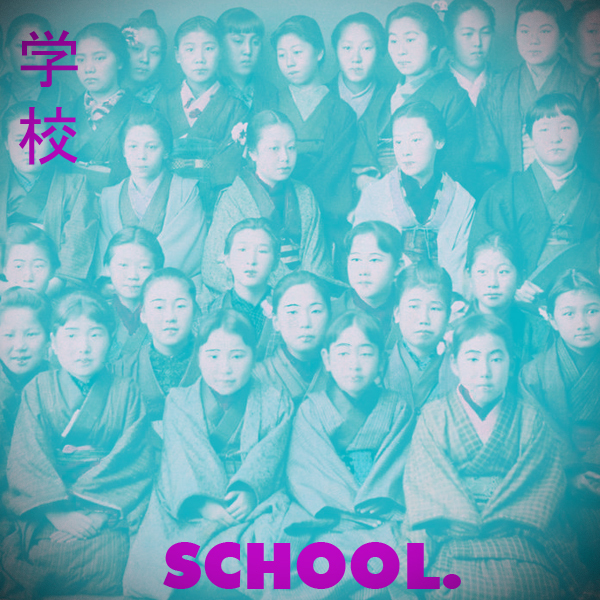 Cram schools are usually attended by SHS kids preparing for university, but competitive parents know that the assembly line for university starts with the senior high school their kid attends. Get into a good senior high, and you can hope to get into a top university. After school Tetsuo goes to Taiko lessons three days a week, from 5 to 7, and spends two weekdays at cram school. In the last post in the “Pretending to Know About Education in Japan” series, we mentioned that high school isn’t mandatory in Japan, but that’s like saying speaking Japanese isn’t mandatory: Try living here without it. MEXT estimates that 95 percent of junior high students go to senior high. Tetsuo’s Junior High teachers will evaluate his progress – not just academically, but also his moral education and citizenship – and make recommendations based on his abilities. Some students will get written recommendations, which they can use as introductions to senior high schools, occasionally waiving part or all of the entrance exam process. Most students, though, will rely on entrance exams. These 14- and 15-year-old students know that this is the first step on the path to their careers. The system is set up like a game of Three-Card Monte. Young Tetsuo can take the entrance exam only once, and he has to take the exam at the school he wants to attend. If he picks a school and scores too low on its exam, he’s out of the running. He can take a second exam offered by a lower-level school, which ensures a “lower-level” future. Or he can attend a private school. I already have a job, so it’s up to you, dear housewife, to figure out how to pay for that. Tetsuo will tour schools during “open school days,” and together, you, me, and Tetsuo will make a decision. If we aim too high, we risk losing everything. Many students, for financial reasons, end up aiming for schools just slightly beneath their abilities as a way to ensure that they’ll get in. To help with the process, we can pay a private company for a mock exam, which will give us a list of schools that Tetsuo is likely to get into. This helps, but it’s more money. And we’ve already sent Tetsuo to juku to practice the test, for more money. We can afford to send Tetsuo twice a week. But the Tanakas are sending young Kentaro three times. And Yuki across the street, the daughter of two bankers, goes every day. Here, the equity of the education system begins to dissolve. MEXT has nothing to do with cram schools, which are for-profit enterprises, has little say in high school entrance exams and no say at all in university exams. Where MEXT has tried to encourage less dependence on juku, it typically fails – the pressure to fill every waking hour with self-improvement is a strong one, and wherever there’s a dream, there’s a market. Tetsuo faces his first major career decision at 14 years old. His love of horn beetles has returned, and he’s inspired to become a biology teacher, requiring a university education. He’ll need to go to best academic school he can get into, because they’ll be focused on teaching to the entrance exams. If it sometimes seems that everyone in Japan has the innate dorkiness of a 14-year-old boy, I suggest it’s because we ask 14 year olds to find their future in a classroom. It’s no wonder Japan is full of scientists, video game designers and hairdressers – these are the stuff middle-school dreams are forged of (and yet Japan is notoriously short on corporate lawyers). Students who want to enter the workforce directly have more interesting choices for schools, because the pressure is off. The difference in the atmospheres of these schools is palpable: the uni-bound high school kids have a desperate, tired intensity in the classroom. The kids who have surrendered to a life of medium-wage jobs or a low-level university are clearly having more fun at school. There are mid-academic schools that might allow Tetsuo to go to a decent, but not great, university, and he fails to qualify, there are low-academic schools, which mostly aim to train kids for jobs right after graduation. There are alternatives to this system, too, such as agricultural schools, or other trade schools for things like pharmacology. Some schools lure students not with test score averages, but with unique sports or cultural clubs, or more nefariously, their connections to top universities. Tetsuo is interested in biology and taiko, so we look for a taiko club and a terrarium. But he’s been beat on the practice entrance exams – not enough juku, perhaps, or maybe not enough caffeine pills and Adderall – so we find a decent, upper-middle academic school and start there. At 14, Tetsuo knows he will not be going to Tokyo University. He’s been sorted. Four years later, Tetsuo is entering his third and final year of Senior High School, and has a shot at a high-middle academic university. The entrance exam cycle starts again. Because he’s at a “good high school,” he’s spent most of the past two years preparing for the entrance exams in his classes. Now, the cramming really starts. Tetsuo will be preparing for two types of exams – the Center Exam, which everyone takes, and then later, a test for each individual school he wants to attend. Maybe he’ll bolster his credentials with a cheeky TOEIC test or something, too. Tetsuo has continued with taiko and plays tennis. He goes to taiko twice a week, tennis three times plus Saturdays, and has meets every other Sunday. He’d been in English club for two years, but will be too busy in his third to take part. That’s a given, no one even asks him. After taiko club he’s off to juku again, but after the middle school experience (and the realization that he’ll be taking many tests) we’ve scrambled up enough cash to send him four days a week. Tetsuo is out until 9 p.m., then comes home to finish homework until midnight. He’ll rise at 5 a.m. to make it out to school at 6:30 for a special morning class, catching up on sleep during the classes he’s least interested in. In mid-January, the three of us will go to a shrine and buy a pencil with a blessing, and the next day, Tetsuo will join about 550,000 students for two days of the national university entrance exam. He’ll get a copy of his test – it’s annual, held at the same time across the country, so there’s no need to protect the contents of the exam once it’s done. Tetsuo can go online and calculate his own unofficial score. Tetsuo, aged 17, logs in. Question by question, the rest of his life reveals itself. For more enthralling descriptions of Japanese bureaucracy, you can follow This Japanese Life on Facebook. By the way, the images I’m using are from the amazing Okinawa Soba Flickr page, which is an amazing treasure trove of old colored Japan photographs. Go check it out! This entry was posted in Teaching and tagged education, japan, tefl. Bookmark the permalink. Nowadays there are many elementary school kids who also go to juku on top of going to eikaiwa, piano lessons, baseball and whatnot. When I first came to Japan I found it very interesting that nobody ever asked me about my grades or what my degree was in, but they wanted to know the name of my university and whether it was a good one. In my country all the universities are considered pretty equal. Going to university used to be free, no tuition fee. Only a small percentage of all students will end up going to university anyways. I don’t think the Japanese system is very good. Many students don’t keep what they’ve learned at all. They just cram it for tests and they also lose a lot of their childhood / free time! It can become super ridiculous depending on the parents. I used to have a 2nd grader of primary school. After school she would attend our eikaiwa and after that juku and piano lessons and whatnot. The mother often asked for extra private lessons and she often stayed up to 1.5h although we said that she at least needs some breaks in between and she stayed until 9pm! She’s still a kid dammit! My husband used to work at an academic preschool. They took children from two. There were uniforms and homework, even before all the children were toilet trained. Japan will one day wake up to a bad case of “sales fixes everything”. The Japanese are still living in the belief that the times of the bubble economy, the Sony Walkman times will come back soon, and therefore are hard at work training their kids to be dorky engineers. But they are making the “Asian mistake” – thinking that knowledge alone, i.e. the remembering of facts will make someone an innovator or business leader. It’s wrong of course – the only kind of people this system produces are shallow automatons who are unable to face real life. That’s why Japan is a society that tries to shield its members from real life, e.g. sincere social interaction, foreign influences, creative inspiration. The layoffs by the Japan, Inc. corporations will only increase, because the young Japanese see companies like Apple, who ban suits and don’t give a crap about formalities, yet rise up to be the most successful companies in the world, and wonder why they have to become a slave in a Japanese company, when the same amount of dedication and hard work could also lead to a much more liberal, more natural life in a foreign country. The best Japanese minds are already fleeing the country in droves to go to Europe and the US. Most of them never look back, and their peers at home envy them so much that, should they return, bully and insult them about “not being Japanese anymore”. We will see this proto-fascist country go down to lows nobody would have thought were possible.